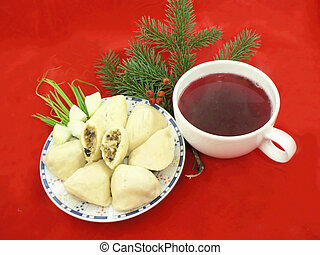 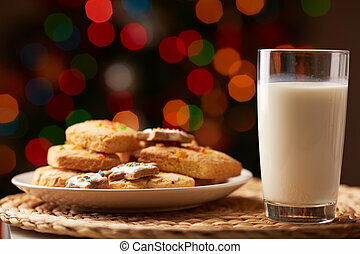 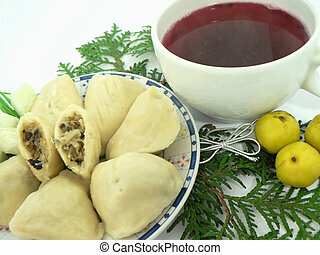 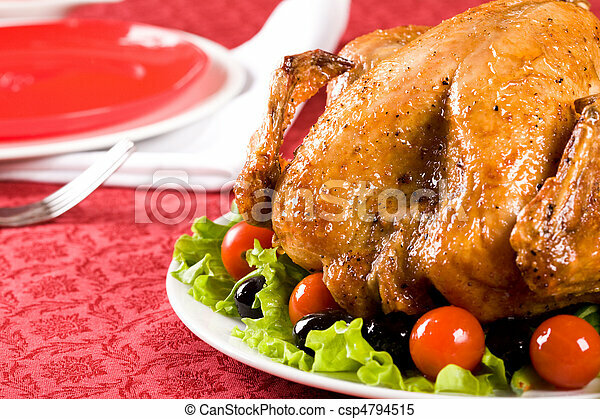 Christmas food. 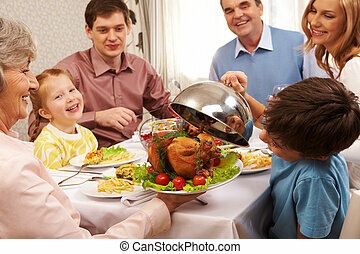 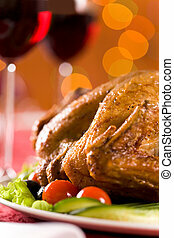 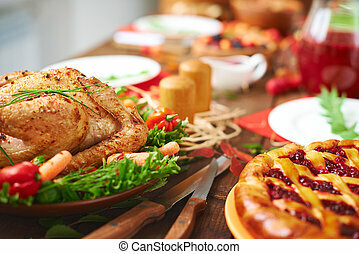 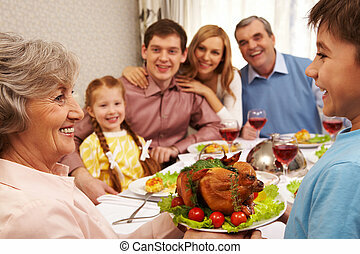 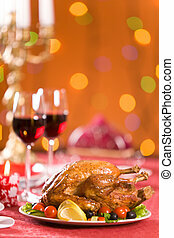 Image of roasted turkey surrounded by vegs on festive table. 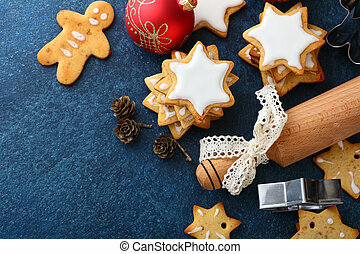 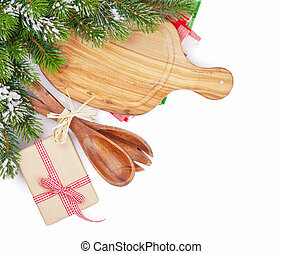 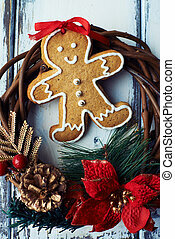 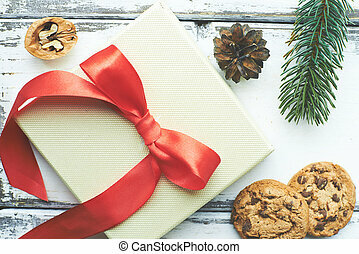 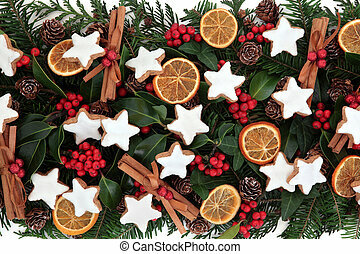 Christmas food background with gingerbread biscuits, dried fruit and spice and winter greenery. 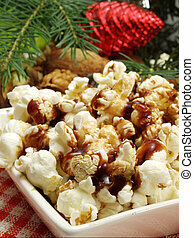 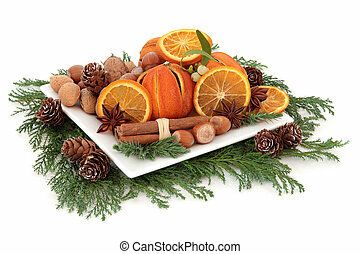 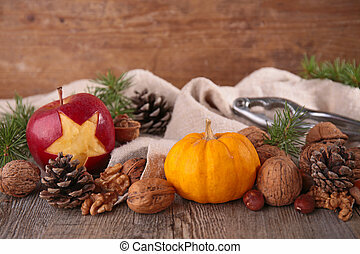 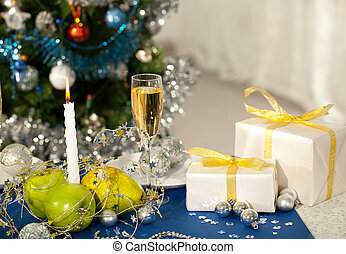 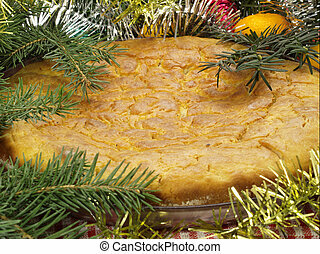 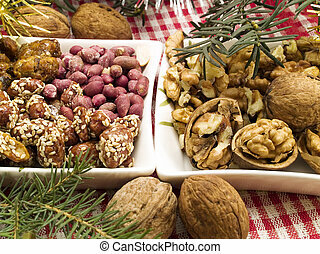 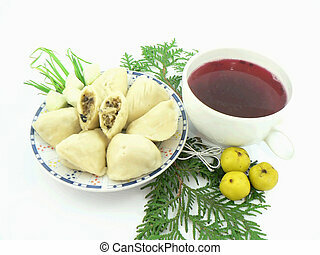 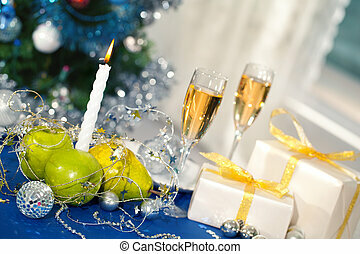 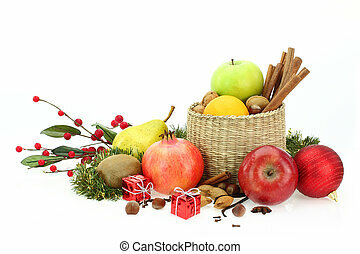 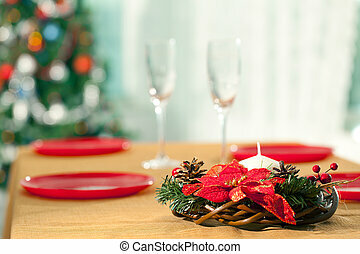 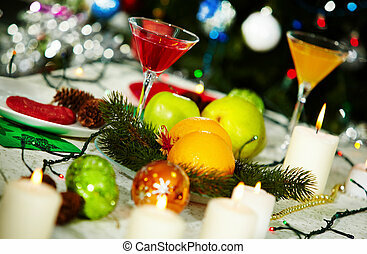 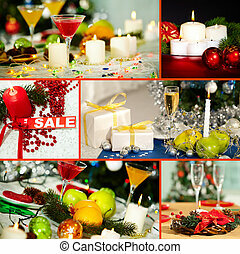 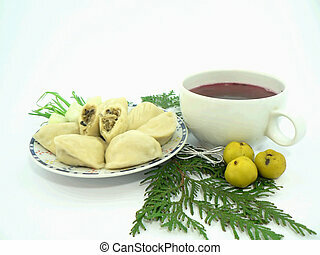 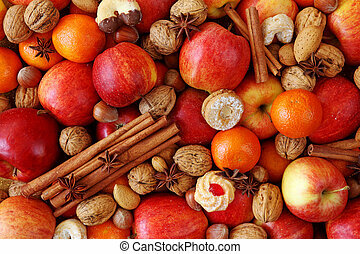 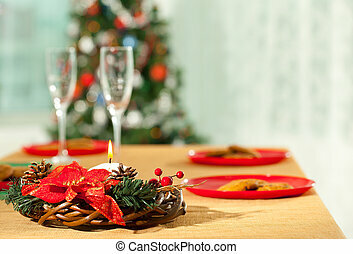 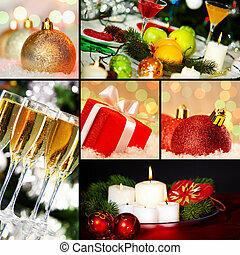 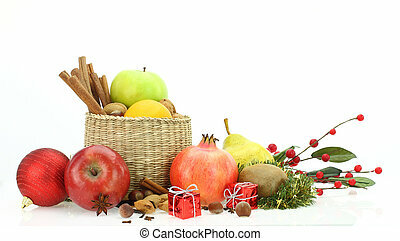 Christmas food arrangement with dried orange fruit, nuts, spice and winter greenery over white background.